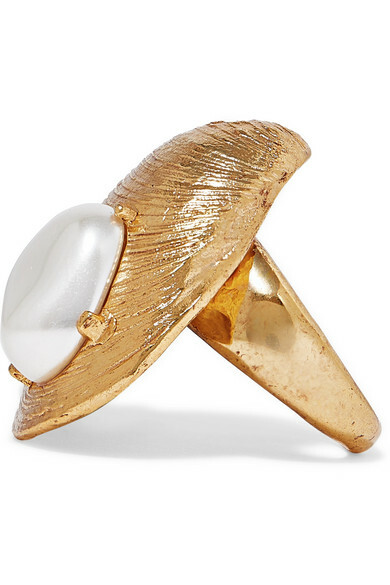 Modeled after treasures you might find on the shore, Oscar de la Renta's clam-shaped ring will give outfits an exotic feel. 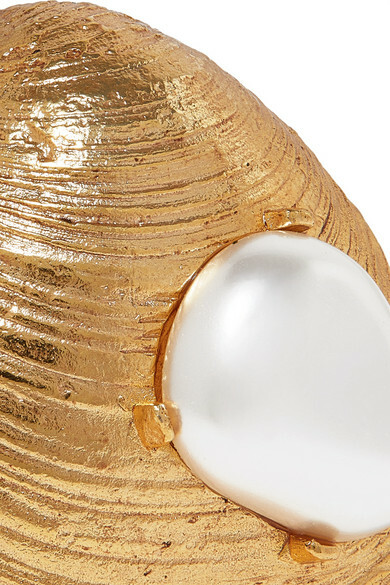 This gold-tone style is detailed with subtle etchings to give it the look and texture of a real shell, and is set with a lustrous faux pearl. 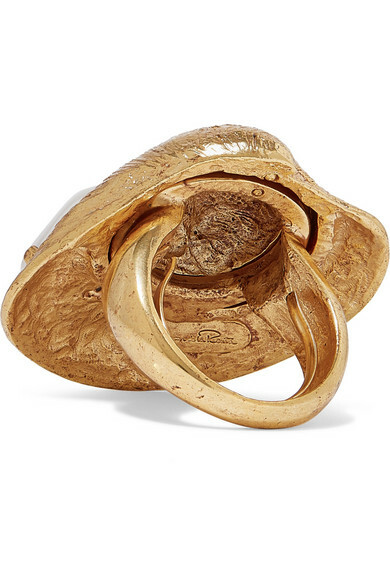 Wear it with the matching earrings. Shown here with: Brock Collection Blouse, Joseph Jeans, Sophie Buhai Earrings.